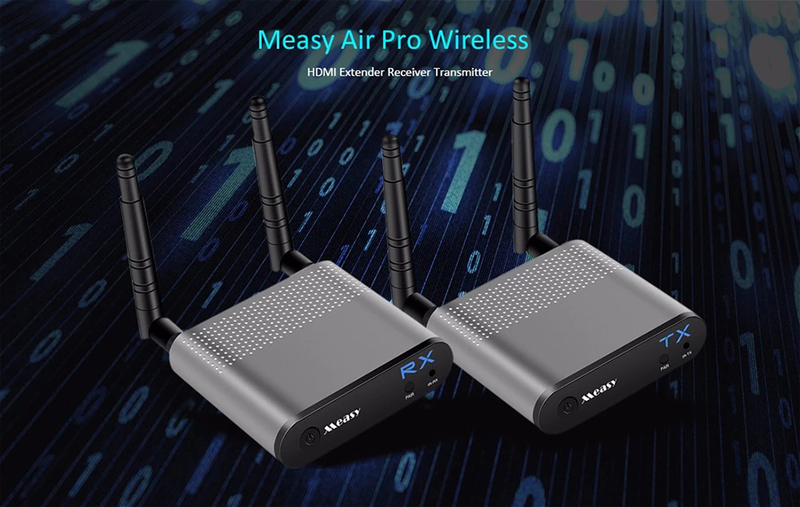 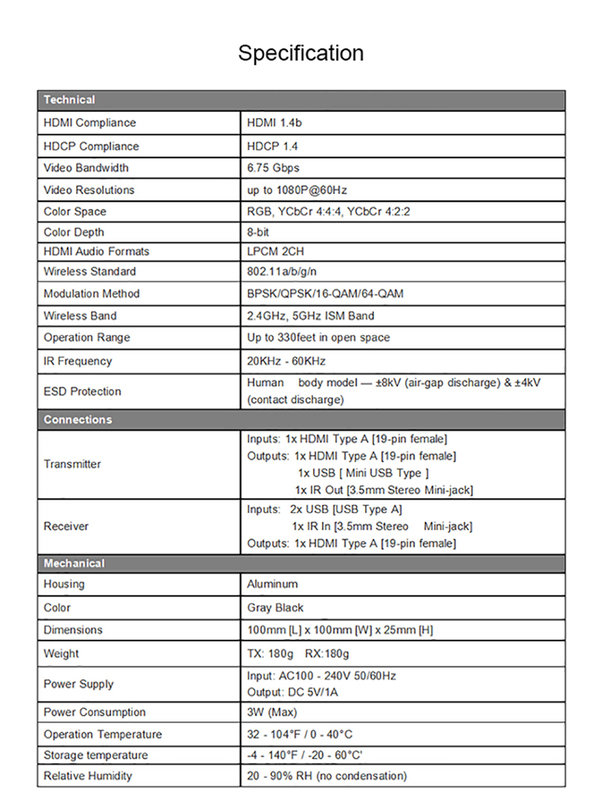 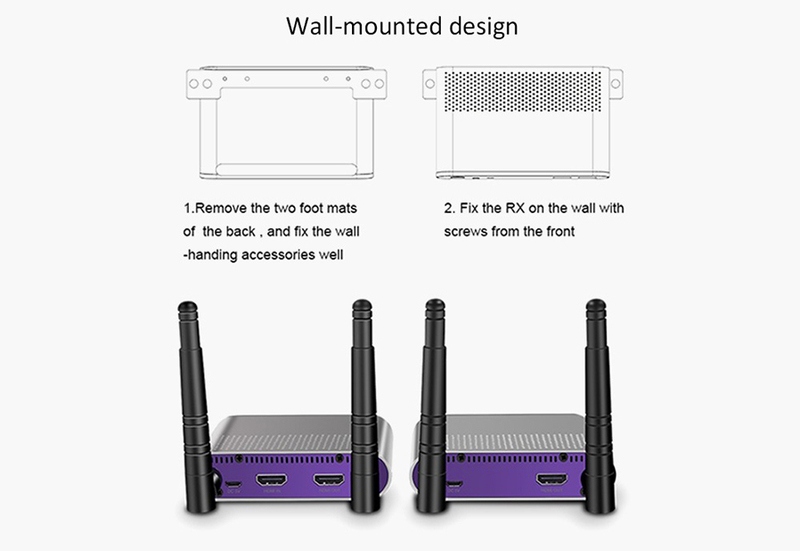 The wireless HDMI extender extends high-definition video and audio to any HDTV displays up to 330 feet away. 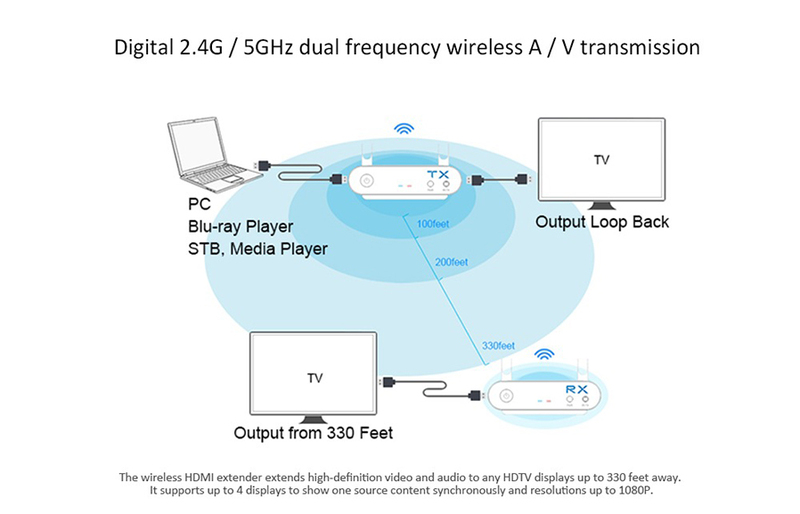 It supports up to 4 displays to show one source content synchronously and resolutions up to 1080P. 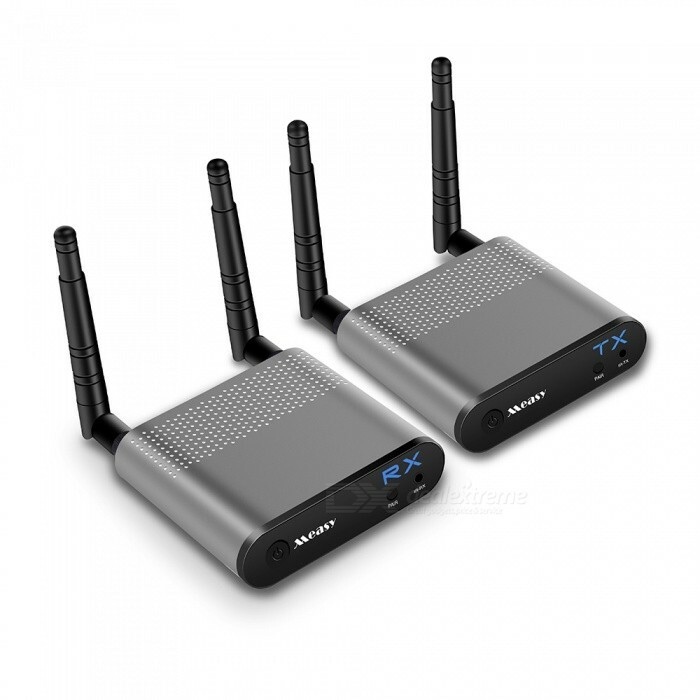 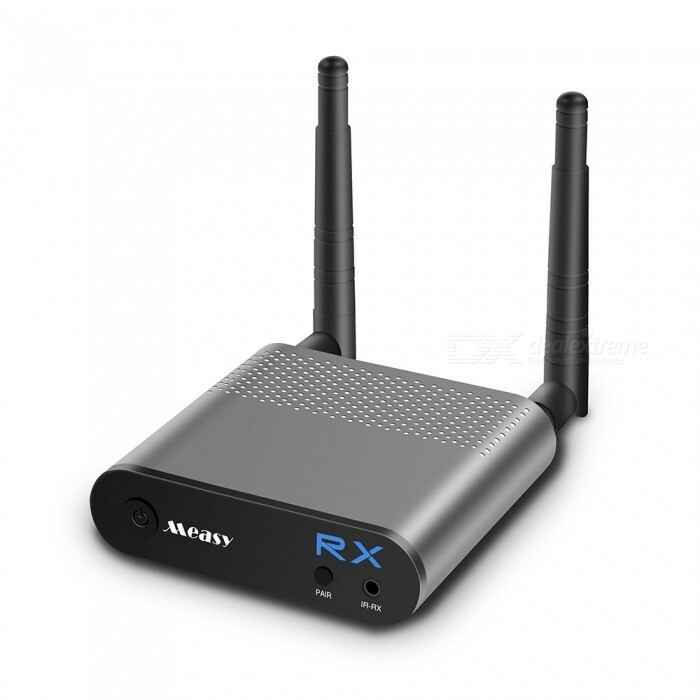 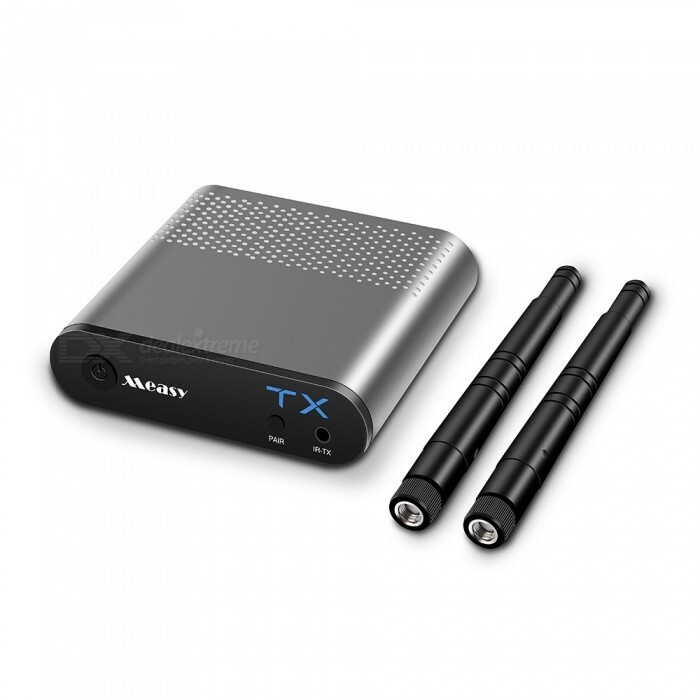 The extender transmits the real time video and audio signals with very low latency. 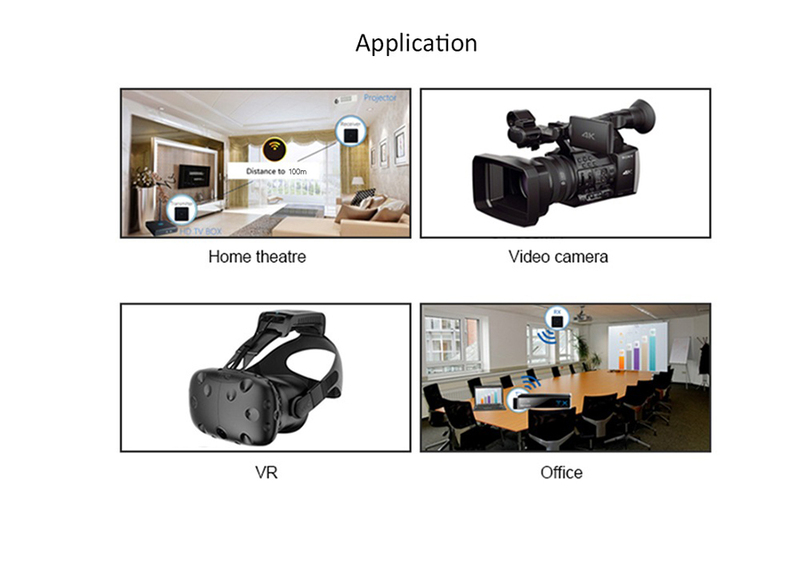 It allows user to view the content in other rooms of the house, such as bedroom, living room, or kitchen. 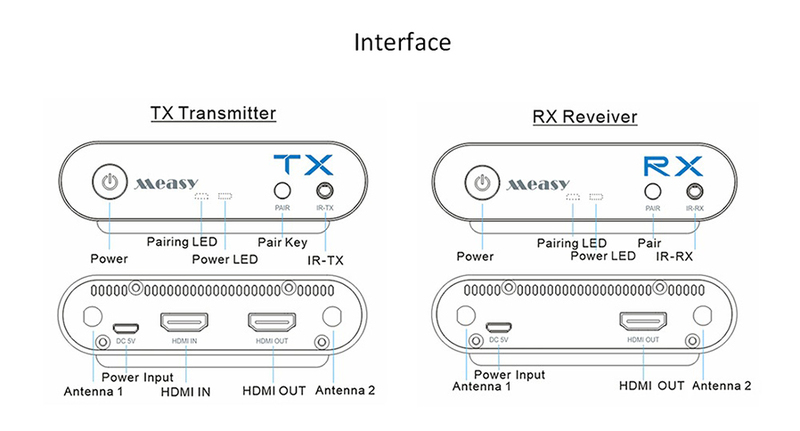 It also helps user to control source device from display side via source device&apos;s remote controller.